All our servicing, tuning and setting up is carried out to exacting standards and tailored to your requirements and the way you use your car. We pride ourselves on using quality oils and parts on all of our servicing, avoiding inferior pattern parts. All of our after-market parts are supplied by quality companies, the majority of which are ISO compliant. Tous nos entretiens, règlages et mises au point sont effectués selon des normes rigoureuses et peuvent être adaptés à vos exigences et à la façon dont vous utilisez votre voiture. Nous n’utilisons que des huiles et des pièces de première qualité. Toutes nos pièces de rechange sont fournies par des entreprises compétentes, dont la majorité se conforment aux normes ISO. 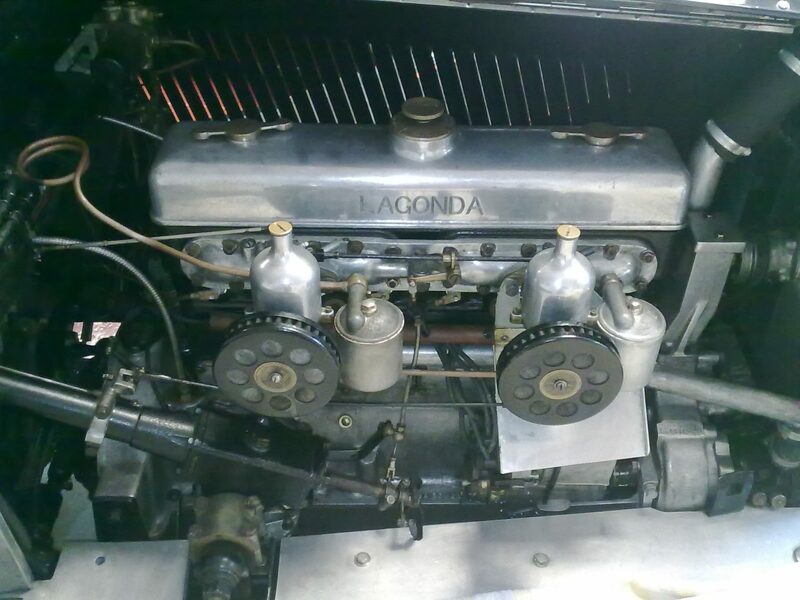 Lagonda LG45 in for a full service, carburettor rebuild and installation of electronic ignition. The electronic ignition unit was installed discreetly within the distributor body maintaining that original look under the bonnet but with modern reliability. 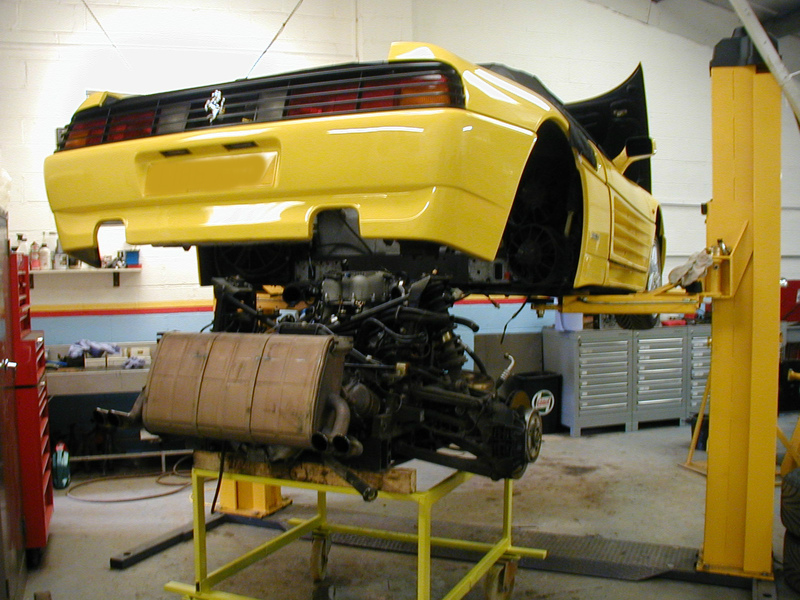 Ferrari 348 in for annual service and cam belt change. We always supply a detailed invoice showing all the work undertaken including all parts used. We also stamp the service book, having 40 years recognition in the classic car world our name and service stamp is well respected. This also enhances the provenance of your cherished classic/performance or vintage car. This +8 Morgan was not only our first Morgan but our very first customer in 1984 when we originally opened our doors! 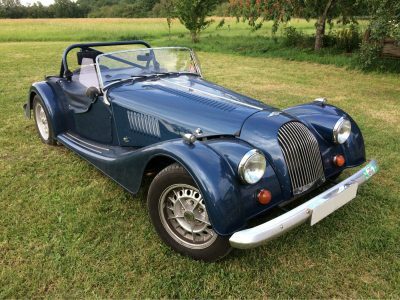 More recently, the car arrived last Autumn for service work whilst the owner was on a driving holiday from Spain up through France and stopping off with us for a couple of days whilst we attended to his Morgan.